The Envirofit G-3300 Rocket Stove is a highly durable, portable outdoor stove that offers exceptional cooking thanks to its unique design. 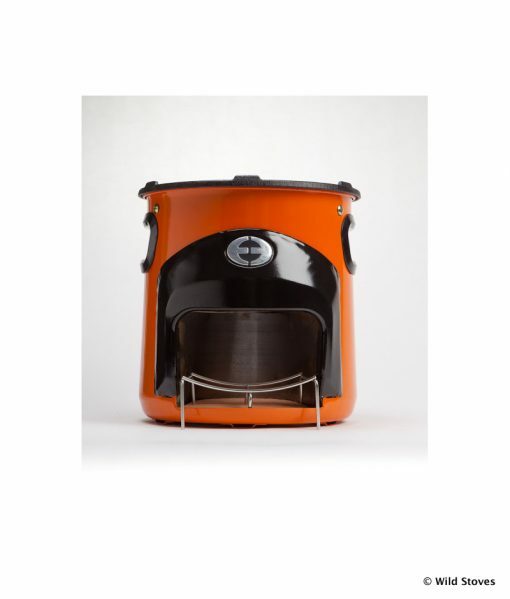 We are delighted to have the G3300 Rocket Stove back in stock after a long break. 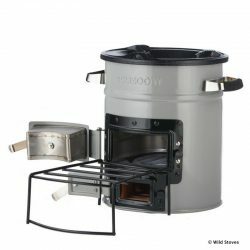 One of our old trusted brands, these stoves are a great balance of lightweight build, durability, performance and looks. 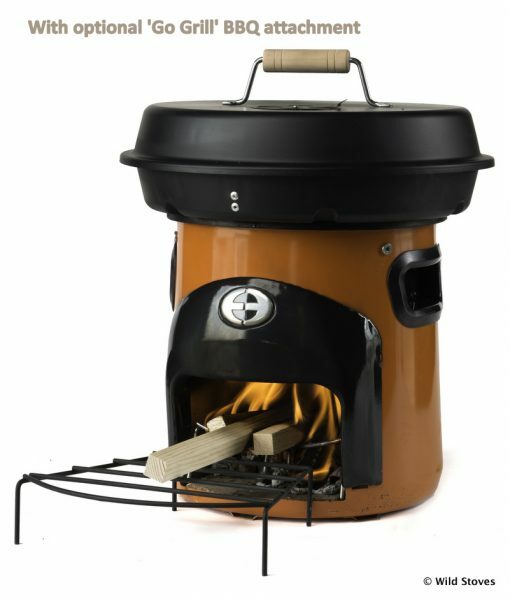 Light a small fire inside the combustion chamber, then insert some sticks (the dryer the better) horizontally into the stove. Within a minute or two the stove is ready for cooking. As the fuel burns, you nudge the sticks in, according to the intensity of heat required. 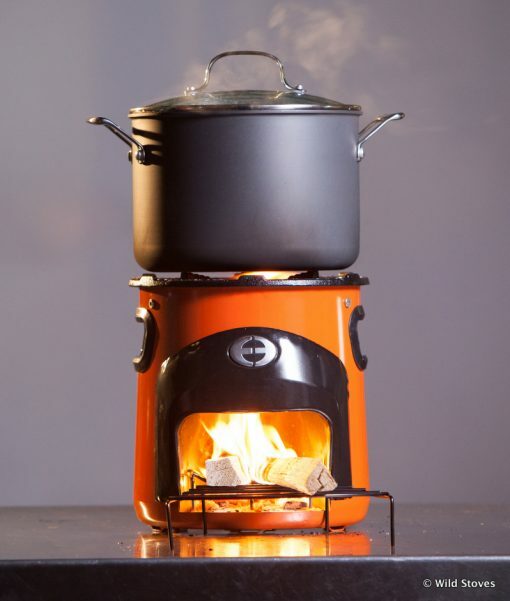 The stove kicks out 3Kw of heat and is 3 times more efficient than an open fire, producing a fraction of the smoky emissions and able to cook a large meal with a handful of twigs. 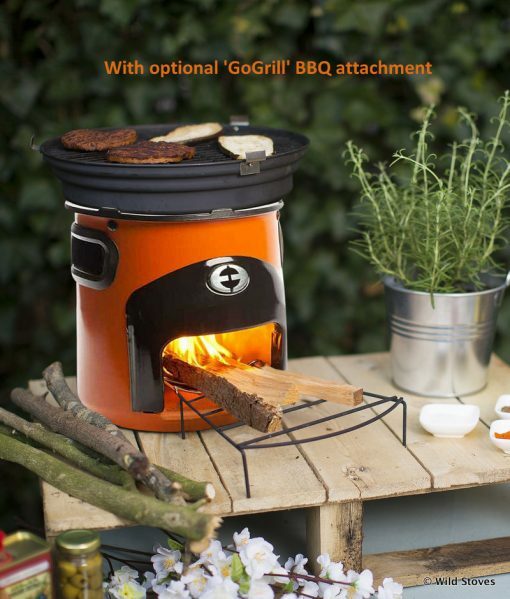 The Envirofit Go Grill is a BBQ accessory for the G-3300. 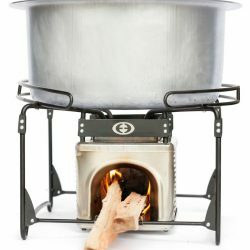 This four-piece set is comprised of a lid with an air vent, a cast-iron grid, a grid attachment and a flame diffuser. 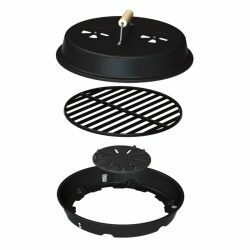 This grill enables you to grill your meat in addition to cooking and frying it. Use the lid to close off the stove and turn it into a slow cooker! 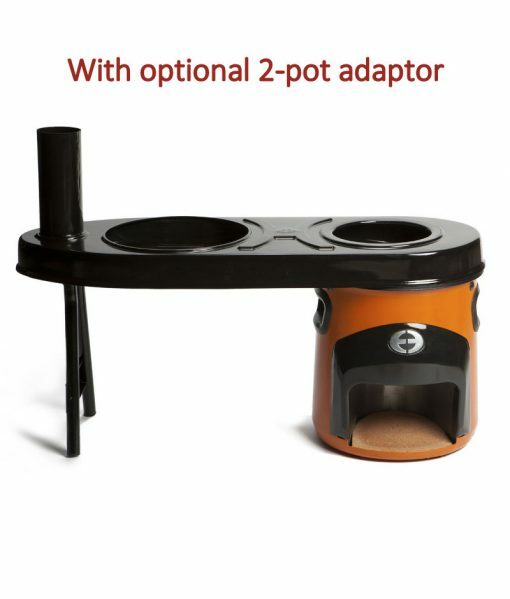 With the Envirofit Double pot accessory you can turn the Envirofit G-3300 into a double cooking system. The first pot hole over the stove is the hottest; the second is cooler and ideal for simmering. 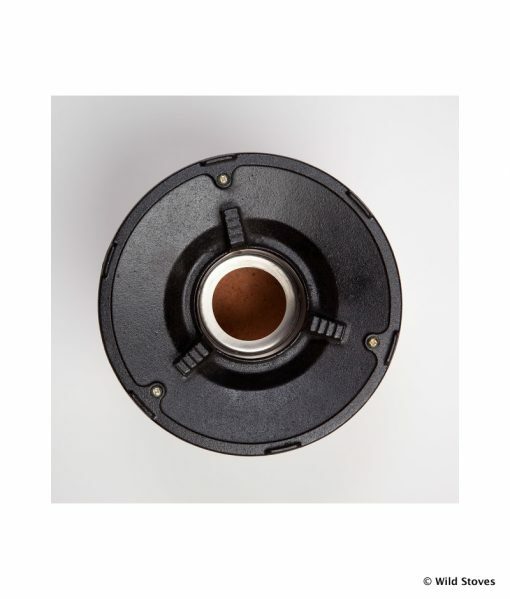 Smoke is directed under the pots and up a short flue. 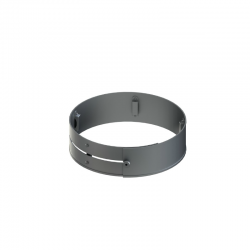 Great when you are cooking for multiple people or more than one dish. 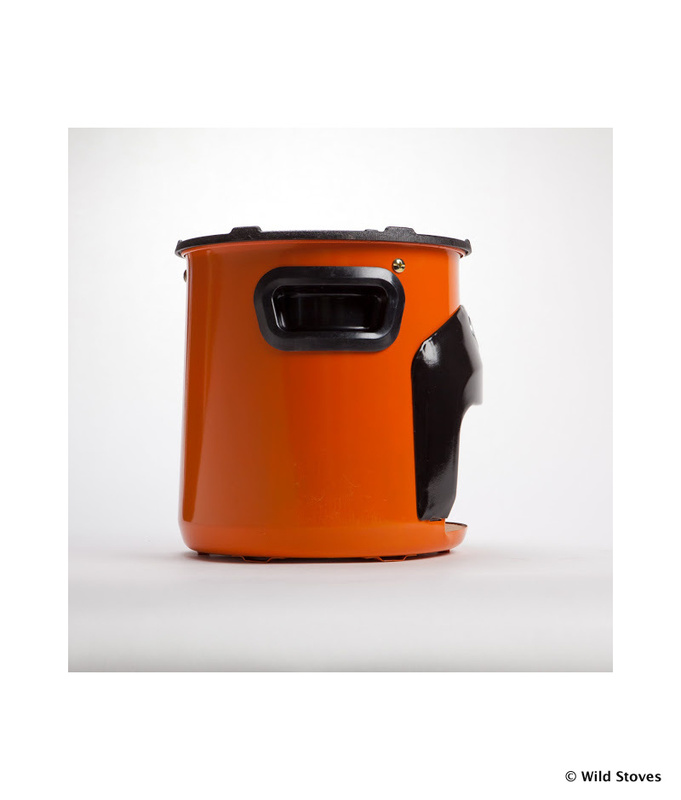 The system is easy to install and remove, and has removable legs and flue for packing. 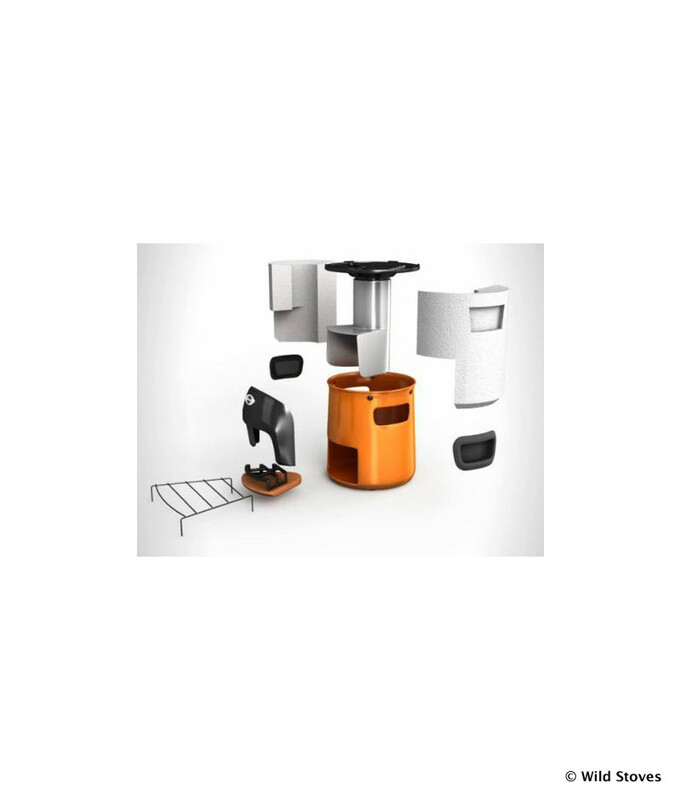 Envirofit is an American organization that focuses on developing non-food products with a minimal environmental impact. Their goal? Creating a better living environment worldwide. 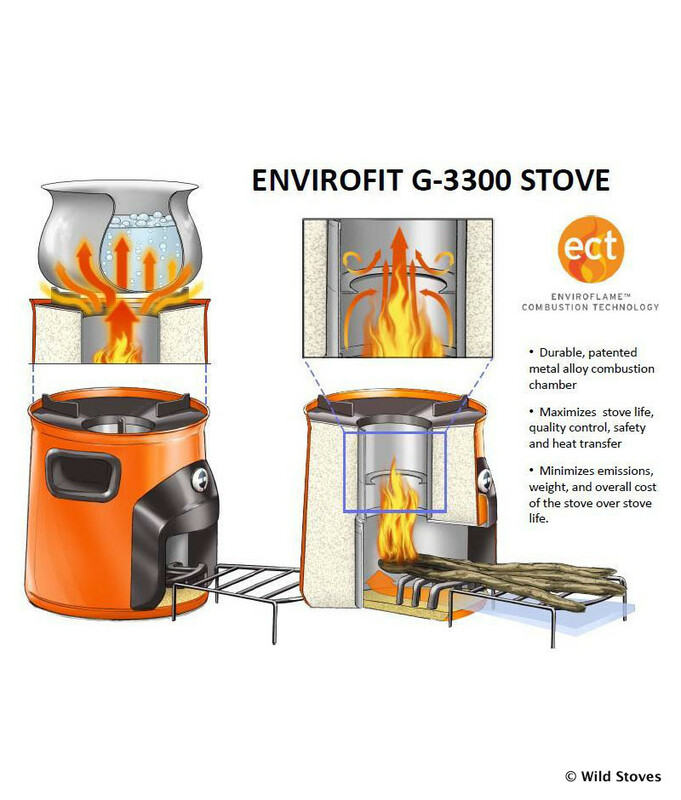 Keeping these goals in mind Envirofit has designed cooking and heating systems that drastically reduce the amount of toxic gases. 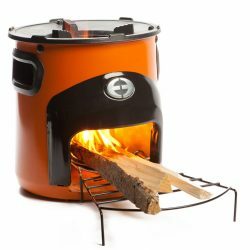 Used sensibly this stove will give many years of safe and fun use. However, all combustion produces carbon monoxide and other harmful emissions – in your car engine, your gas central heating boiler, even your efficient woodgas stove. 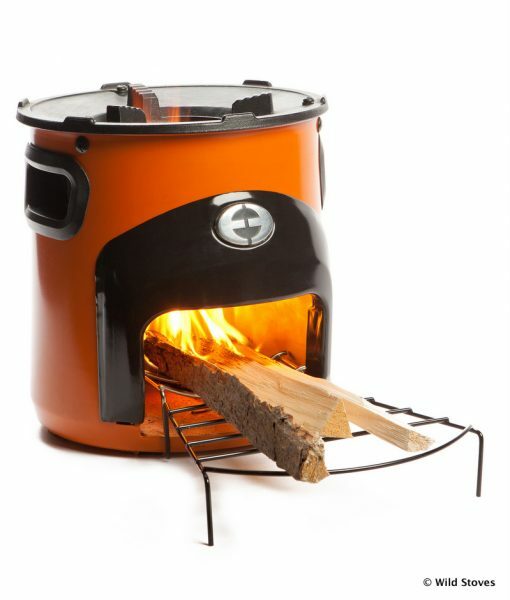 This stove is designed for use outdoors. Use only outside or under well ventilated shelters. DO NOT USE IN TENTS or other enclosed spaces. Charcoal left at the end of a burn also produces carbon monoxide.